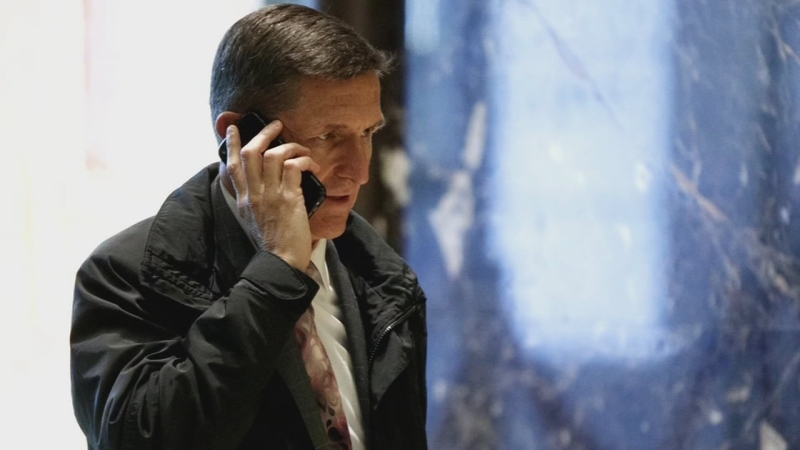 WASHINGTON -- President Donald Trump's former national security adviser, Michael Flynn, invoked his constitutional right against self-incrimination on Monday and declined to hand over documents sought under subpoena by a Senate panel investigating Russia's meddling in the 2016 election. Trump appointed Flynn, a retired U.S. Army lieutenant general and top military intelligence chief, as his top national security aide in January, only to fire him less than a month later. Trump said that Flynn had misled top U.S. officials, including Vice President Mike Pence, about his contacts with Russian officials, including Russia's ambassador to the U.S.
After Netanyahu responded - he said the cooperation was terrific - Trump volunteered that he "never mentioned the word or the name Israel" during his recent Oval Office conversation with top Russian diplomats.